The STAM system (AutoMatic Transcription System) was developed as part of an industrial research project jointly supported by MK SOFT and Med Point Dz. 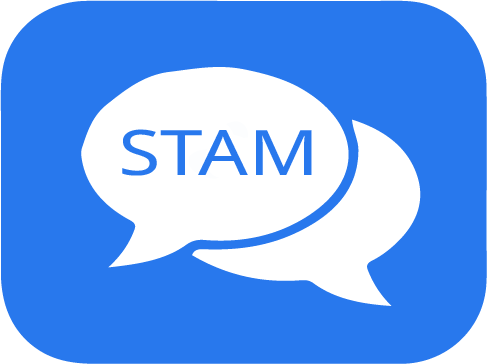 STAM's objective is to transcribe (translate) automatically texts written in spoken dialects in North African countries (as source language) into a text that is easily interpretable and comprehensible in French or English (as target languages). This transcription is also valid in the other direction. Currently, STAM supports several dialects: Algerian dialects, Amazigh (Berber) dialects, Egyptian dialects, Moroccan dialects and Tunisian dialects. It therefore offers a wide coverage of the dialects of the countries of North Africa. Interest in the study of dialects has increased considerably thanks to the evolution of the use of the Internet and the mode of communication of Internet users. Nowadays, they use different platforms (social networks, discussion forums, tweets, etc.) to express their opinions on different subjects, to request or exchange information, to comment on an event, etc. Thus, we find in these different sources of information texts written in local dialects from which the editors originate, making the comprehension of the text practically impossible for people who do not speak the dialects used. 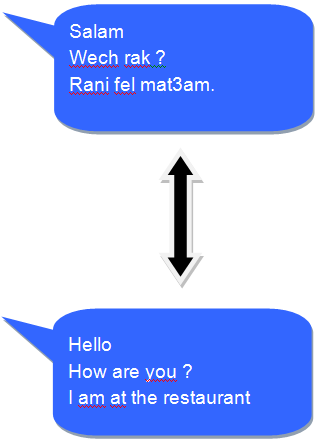 STAM offers the possibility to interpret and analyze the information contained in texts written in dialectal Arabic in order to extract the information content using tools of ALP (Automatic Language Processing) and adapted technics.